Another group was organized in January 1981 as a class to learn quilting, first meeting in a private home and later in a room at St. Peter School. 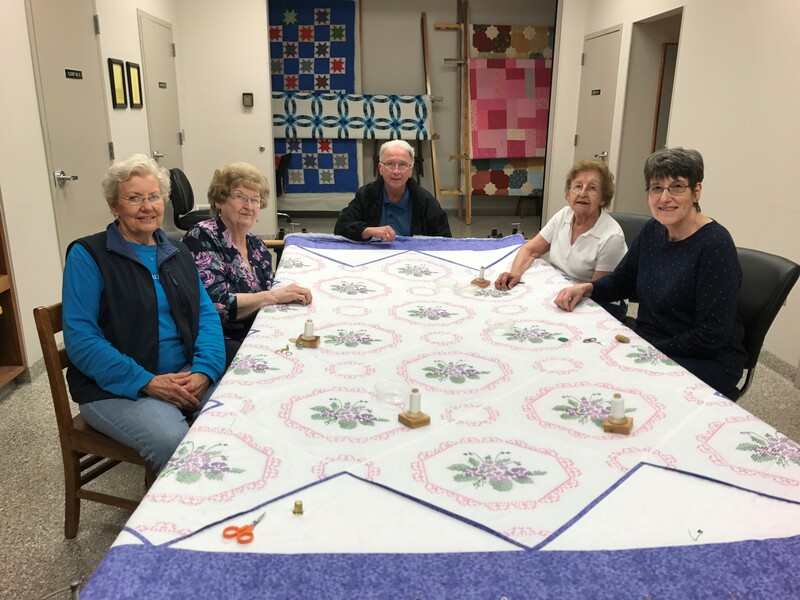 In May of that year, the name Sew N Sew Quilters of St. Peter was adopted and they began meeting every Monday from about 7:30 or 8:00 a.m. to 1:30 or 2:00 p.m. The Sew N Sews also enjoy the refurbished and well-appointed Quilt/Scout Room. The nine or so members of this group come in at varied times, again depending upon their other commitments. Some are there most of the day, while others are there only two or three hours. For more information, please call Esther Kempker at 635-6789 or Helen Cline at 893-5335.